Man cave signs. Add some wit to your man cave. A man’s wit and knowledge is measured by their man cave signs’ humorousness. Man cave signs and posters give your man cave a little humour and character. They can be stylish or they can be funny (or both). The only rule when buying a man cave sign is if you personally do not find it funny or do not like it, then do not buy it. It is as simple as that. Signs and posters are a reflection of you portrayed through your man cave. If they are stupid or do not fit in with your own sense of idealism or humour, then your man cave will reflect your instability and stupidity. It is important to distinguish the difference between signs and posters. Posters take a more pride of place in the man cave. A poster can be seen as art that portrays the vibe of the space it occupies. Man cave signs are usually displayed around the bar area (although that is by no means a rule) and contain short, witty comments pertaining to your man cave. Signs are not designed to stand out and greet your guests when they first enter your man cave. They are there to picked at little by little, as and when they come into view. A good man cave sign will bring cheer and joy into your life. A poor one will bring contempt and shame. Pink and furry? No no no. Metallic, wooden and manly? Indeed. When you are choosing your man cave signs you must ensure that they appeal to you. It doesn’t matter whether they have been hailed as the greatest quip to ever come out of the minds of men. If you do not feel engaged with the sign, leave it alone and look for something else. Other than that, there are no hard and fast rules but I would suggest avoid any surrounded by pink fur that say “I love My Cat“. You may well love your cat but you are creating a man cave, not a shrine to Tigger. 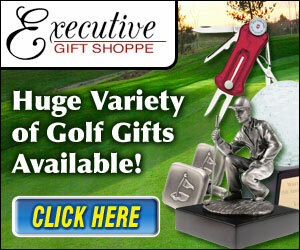 Check out our recommendations for gifts for men, man cave gifts and accessories including signs. We have scoured the internet so you don’t have to.